The rumours of Arjun Kapoor and Malaika Arora’s linkup continue to make headlines with their alleged romance as they often make joint appearances. 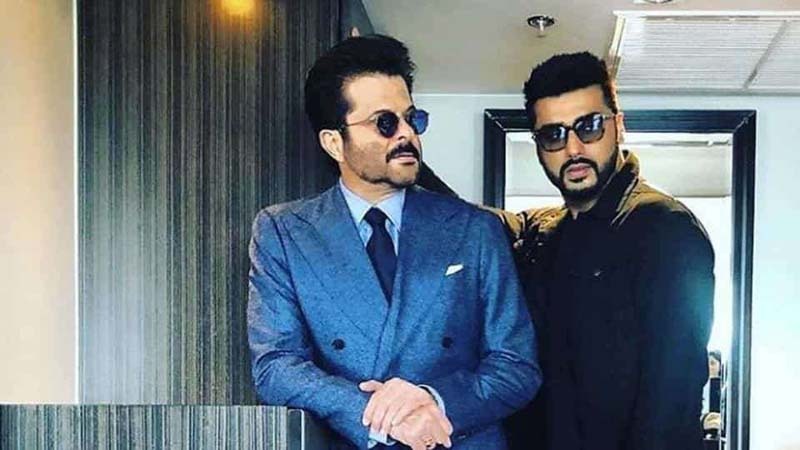 After a lot of prodding by Janhvi Kapoor and host Karan Johar, Arjun had recently confessed on the reality show Koffee With Karan that he is not single. Now, his uncle Anil Kapoor was asked about his nephew’s relationship status on the radio chat show No Filter Neha. In the questionnaire round hosted by Neha Dhupia, Anil was asked to lend relationship advice to the celebrity couples. On being asked to comment on Arjun and Malaika, Anil said, “I know him very well. Whatever makes him happy, makes me happy. Talking about his niece Janhvi Kapoor and Ishaan Khatter, he said that the two should do a film together. For his daughter Sonam Kapoor and son-in-law, Anil had only one reply, “God bless them.”Malaika and Arjun recently attended a get-together at Amrita Arora’s residence which also had Malaika’s best friend Kareena Kapoor in attendance. According to a report in Pinkvilla, a source said, “Arjun and Malaika have together purchased a flat in a plush society near Lokhandwala Complex. It is their joint investment together. Whether they plan to live in or not is entirely up to them. But they are surely getting a space for themselves.”Interestingly, when Karan asked Malaika about her reaction to Arjun’s stint on Koffee With Karan, Malaika replied, “It was hot, honest and I loved every bit of it.” Karan and Malaika are judges on the reality show India’s Got Talent and the filmmaker had shared the video on Instagram. Arjun had also confessed on the show that he is now open to the idea of getting married as he has grown closer to his father Boney Kapoor, Janhvi and Khushi, after the death of his stepmother Sridevi.